I call myself the liturgy guy because I love to write about the beauty of our Catholic liturgy. There is nothing we can do in life that is more important than to follow our Lord’s command to love the Lord our God with all of our heart, soul, and mind and to love our neighbor as ourself. (Mt 22:37-39). This is also why, when you look at the Ten Commandments, the first three are dedicated to our relationship with God. Of course, our love for the Lord is most visibly manifested in the penultimate prayer of the Church, the Holy Mass. In the spirit of full disclosure let me first state that I love the Latin Mass, or what we now call the Extraordinary Form of the Latin rite. My parish offers both forms but most often we as a family attend the Latin Mass. However, most of you reading this do not attend the Latin Mass. The majority of people attend the Novus Ordo Mass, or Ordinary Form of the Latin rite. While most parishes still only offer this form of the Mass it is interesting to note that the number of parishes offering a regular Sunday Latin Mass has increased in the past 20 years from just under 80 to over 400 now. Are We Rome or Babel? Now the whole earth had one language and few words…Then they said, “Come, let us build ourselves a city, and a tower with its top in the heavens, and let us make a name for ourselves…So the Lord scattered them abroad from there over the face of all the earth, and they left off building the city. History and common sense tell us that a family shares a common language. Effective communication and unity require a common tongue to be spoken. As Roman Catholics we have a common language: Latin. This is why when a pope issues an encyclical letter it is released in the language of the Church, such as Lumen Fidei (the Light of Faith) from Pope Francis, which was just released in June. This common language is also found in our sacred liturgy. The Ordinary of the Mass consists of, but is not limited to, the Gloria, Agnus Dei (Lamb of God) and the Sanctus (Holy, holy, holy). What has unfortunately been the case in the decades since the council is an almost outright hostility by many within the Church toward any incorporation of Latin within our liturgy. This was not supposed to happen, and as a result, the communication and unity of the Church has been negatively impacted. We know that this “spirit of Vatican II” which has resulted in the widespread loss of any Latin in the liturgy is not the true “fruit” of the Council. It cannot be since Holy Spirit which has guided the Church within all 21 of her ecumenical councils over 17 centuries has not changed. Pope Benedict XVI often spoke of the hermeneutic of continuity versus rupture. Simply put, our Catholic faith doesn’t reverse course or swing a U-turn mid street. This is also the case with our liturgy. If prior councils and popes recognized the benefit for the use of Latin in the Mass, then the Second Vatican Council (guided by the same Holy Spirit) could not have been advocating for a vernacular only Mass. If anyone says…that the mass ought to be celebrated in the vernacular tongue only…let him be anathema. Pope Pius XII reaffirmed this teaching in one of the last major documents regarding the sacred liturgy in the years leading up to the Second Vatican Council, his encyclical Mediator Dei (1947). Finally, with the release of the Motu Proprio Summorum Pontificum in 2007 by Pope Benedict XVI, we find the Holy Spirit still guiding the Church with regards to her highest form of prayer, the Holy Mass. I hope you have been given a few things to ponder. Have you been exposed to the language of the Catholic Mass over the years? Do you frequently hear the use of latin within your Sunday liturgy? I would like to conclude with a Q & A from the Baltimore Catechism which serves nicely to summarize what we have been discussing. Q: Why does the Church use the Latin language instead of the national language of its children? To show that the Church is not an institute of any particular nation, but the guide of all nations. Posted on August 18, 2013, in liturgy and tagged latin, mediator dei, ordinary form, second vatican council, summorum pontificum, vernacular. Bookmark the permalink. 8 Comments. Thanks for this post. You bring up many important points. 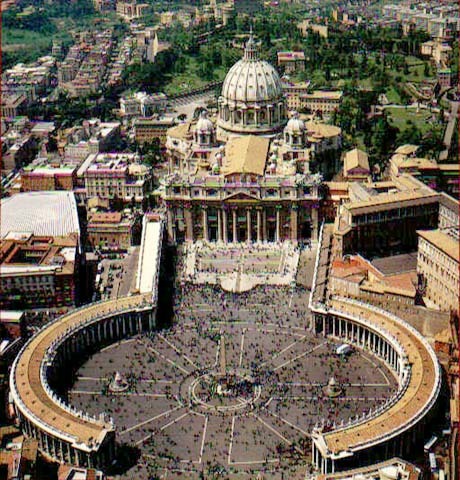 Anyone who has ever attended a Mass at St Peter’s in Rome has, no doubt, experienced the catholicity of the Church: faithful pilgrims from twenty or thirty nations, each naturally speaking a different native tongue, but wholly united in worship, praying together in Latin, the universal language of the Roman Catholic Church. This experience of community is awesome. It is the living Body of Christ. God bless! Very well said. Thank you for your feedback. I thoroughly enjoy reading SaintlySages everyday. Keep up the good work. We went to a church where the priest, in open rebellion to the Holy See, announced that he felt we should not be going backwards as a church and expressed his intent to rebel. The whole church, save a few, applauded vigorously. We found a new church to attend. The sin of pride on the part of that priest. It isn’t his Mass, but the Mass of the Church, the re-presentation of the sacrifice of Calvary. By going “backwards”, does he mean to 78% weekly Mass attendance (1958) packed seminaries and convents (1965) and profound reverence for the Eucharist? Sounds like you made the right decision to leave. Sorry…refused to incorporate common parts of mass in Latin. Hey, liturgy guy, what recommendations do you have for someone who would like to acquire at least a smattering of ecclesiastical Latin so as to better understand the Latin liturgy. Good question Aloha Bill (great name by the way!). First, I’m no expert. That being said, here is how we have approached it. If you have access to the Traditional Latin Mass in your city, or nearby, go often. There is no better way to learn ecclesial Latin, the flow of the TLM, etc. then simply through your participation at it. If you want a complete daily missal, either the 1962 Missal (available from Baronius Press and also at Sancta Missa), or the St. Andrew Daily Missal by Dom Lefebvre from 1945. (This is what I use). Hope this helps. God bless and thank you for your question Bill!